The National Legal Research Group founded the legal research industry in 1969 to provide solo practitioners, corporate counsel, large firms, and all other attorneys with legal research and writing expertise. We have assisted over 50,000 attorneys nationwide on over 170,000 projects; including cases specific to Tennessee legal research. Our team of attorneys average 20 years of experience each, are graduates of top law schools, and are specialized by area of law. Our attorneys can provide appellate brief writing services for Federal Courts of Appeal, the Tennessee Court of Appeal, the Tennessee Supreme Court, and the United States Supreme Court. We also offer appellate brief compliance review and filing through the Lex Group. Not only are we seasoned legal research experts, our team is also highly skilled in legal writing. Over the years, we have prepared briefs in every state and federal court, including Tennessee state courts. Our attorneys can provide you with high quality trial briefs to help you win your case. Since our founding, The National Legal Research Group has assisted attorney-clients with pleadings in all states, including Tennessee, and federal court. We can prepare pleadings and responses for complaints, pre and post-trial motions, motions in limine, motions for summary judgment, motions to compel, motions to dismiss, and a large variety of other legal pleadings you may need for your case. From relatively simple state court proceedings to intricate multidistrict litigation, NLRG attorneys can help with many discovery-related services such as: the preparation of interrogatories, deposition preparation, requests for production, deposition summaries, motion to compel discovery, and requests for admissions. As fellow attorneys, we understand the immense amount of time that reviewing simple legal documents can cost you. We also understand that each document can be critical to your case and must be reviewed meticulously. We can save you a significant amount of time by assisting with your review process. This can help you predict upfront cost and meet your deadlines. 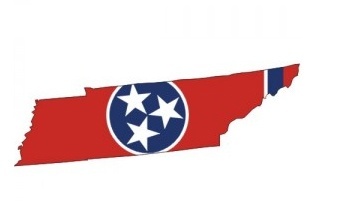 We have completed over 170,000 projects since our founding, including those involving detailed Tennessee law research. For more affordable options, when a written product is not required, we can provide detailed telephone and email reports. This allows the access to our legal research assistance and expert analysis of legal issues, but at a lower overall cost. NLRG's experienced attorneys prepare unbiased legal memoranda for case evaluation, trial and appellate preparation, or any other purpose prior to or in support of litigation or transactional analysis. Our team of attorneys can help with preparing persuasive legal memoranda including all of the relevant legal arguments, binding authorities, and citations to ensure acceptance into the courtroom. If you are finding yourself overwhelmed with a case, and need additional legal research and writing expertise, please complete the form on this page to have our expert attorneys review your case and discuss how we can help. "I am not practicing law now, but I always used your services in the past and I steer young attorneys to you now... You guys are great! I've won several lawsuits in the past with your help." "I appreciated your work product and professionalism. I will use your service again!" "I was completely satisfied with Doug Plank's research. I do not believe you could have improved your service in this matter. It was of the highest level."